Are our brains outsmarting themselves? 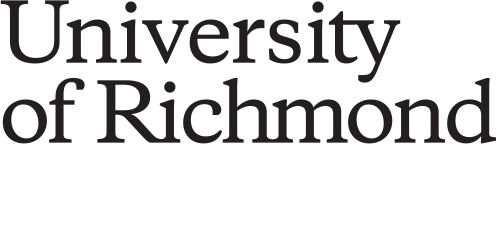 A Richmond researcher and her rats say maybe. Consider our technologically enabled American life, circa 2018. With a mere voice command to our smart-home devices, we can turn down the lights, turn up the music, queue a movie, order takeout. With our now-omnipresent digital companions, we can summon a date on Tinder, a ride via Uber, and someone to assemble our bookshelves from TaskRabbit. Our work, our workouts, our social lives, our shopping, our entertainment, our anything else that can be coded and commodified — yeah, there’s an app for that. And in the not-too-distant future, so we’re assured, our cars will be driverless, our reality will be virtual, and our refrigerators will order our groceries for us. This is the question, both practical and philosophical, that Kelly Lambert explores in her research. Professor of behavioral neuroscience in the psychology department, Lambert has focused a 30-year career on studying the relationships among the brain, behavior, and the environment. In particular, she’s interested in experience-based neuroplasticity, or “how our experiences, our lifestyle, our external and internal environments influence our brain’s ability to keep changing,” she says. CBS Sunday Morning correspondent Tony Dokoupil came to the Gottwald Center to interview Lambert, left, for a story about how busy hands can alter our brain chemistry. The story aired March 18. The scientific community has not always embraced the concept of neuroplasticity. Until the 1960s, Lambert explains, the dogma in neuroscience was that we are born with the brains we are going to have — that following infancy, the brain is essentially fixed and unchanging throughout life. Then Marian Diamond, a researcher at the University of California Berkeley, presented pioneering work with rats that seemed to demonstrate the opposite. When the rats, normally housed alone in featureless metal cages, were instead placed in an “enriched environment” — a kind of rodent Disneyland that provided opportunities for activity and exploration and social interaction — “their brains seemed to be more complex” after only 30 days, says Lambert; Diamond and her Berkeley colleagues had physical evidence that the brain could change. “Even the neuroscientists studying brains couldn’t accept that they change,” says Lambert. But in the wake of Diamond’s and then other researchers’ work, the evidence mounted that in fact they could. As our tools and resources for studying the brain have become progressively more sophisticated, our understanding of neuroplasticity has continued to expand. Most recently, notes Lambert, the field of epigenetics has begun to uncover fascinating evidence that environment may even affect gene expression across generations, proving how important — and complex — a role environment and experience play in our lives. Lambert was a first-generation college student in a small school in Alabama in the 1980s when she first heard of neuroplasticity in a psychology class. Before that time, “I knew nothing about the brain, nothing,” says Lambert. What she learned in that psychology class, however, captivated her curiosity. “As a 19-year-old hearing that, it just seemed like magic — you could change your brain,” she says. It was a revelation that would shape the course of her future. Today Lambert is a respected expert in her field, a past president of the International Behavioral Neuroscience Society (which will recognize her with a career achievement award at this summer’s annual meeting), and frequent presenter at conferences, with dozens of professional publications to her name as well as numerous interviews and articles in the popular press. She has authored two textbooks on behavioral neuroscience (one co-written with the late Craig Kinsley of the department of psychology, with whom Lambert enjoyed a long collaborative research partnership) and three books for general audiences (the most recent forthcoming from Yale University Press). Throughout her career, however, her fascination with how experience changes the brain has remained the guiding force of her research. A significant focus of Lambert’s work has been stress and adaptive resilience, or the ability to positively respond to the stressors and uncertainties that life throws at us. From the simple “You want fries with that?” to the life-changing “Will you marry me?”, the inconsequential selection of a shirt in the morning to the momentous commitment to have a child, we are barraged every day with the endless demands of choices to be made and actions to be taken. And the number, frequency, and urgency of decisions seems to be only growing, with emails flooding our inboxes, 20 flavors of seltzer on the grocery-store shelf, and the right preschool choice seeming to foredestine our child’s entire future. Thus, effective and informed decision-making — what Lambert calls “contingency calculation,” or the ability to take in information and accurately evaluate possible outcomes in order to make the best choices — is, more than ever before, an indispensable life skill. From the simple 'You want fries with that?' to the momentous commitment to have a child, we are barraged every day with the endless demands of choices to be made and actions to be taken. What Lambert wants to know, then, is this: If experience does indeed continue to shape our brains, then are there particular kinds of experiences that effectively strengthen our brains’ ability to handle whatever comes our way? To seek answers to these questions, Lambert turns most often to the research subjects for whom she has developed a deep affection and respect across her years as a scientist: rats. While Lambert also studies raccoons in the wild and macaques at a natural-environment conservancy in Florida, rats have been the constant companions of her research career, and she takes obvious delight in the ways they continue to surprise and teach her. “My rodent colleagues,” she calls them in The Lab Rat Chronicles, her second book for a general audience. Rats, she notes, are a “social, skilled, intelligent, and complex species” and “the sophisticated product of millions of years of evolution.” And as resilient, adaptive mammals that — like the humans who are their frequent fellow travelers — have successfully managed to survive, thrive, and spread around the globe, they offer an appropriate scaled-down model, she says, for basic research. Rats aren’t people, in other words, but studying rats can offer intriguing clues that point towards areas for potential further study in human subjects. Imagine your standard-issue freshman dorm room. It’s functional, safe, and adequately equipped, and if it’s designed for utility above all, still, once its residents have filled it with puffy comforters and nubby carpets, well-stocked mini-refrigerators, and one-click ordering from Amazon, then by the measure of human history, it’s a hella sick crib, as the kids say. If you are a laboratory rat, the exhaustively regulated “standard environment” mandated for your care and housing is something like a rodent equivalent of that freshman dorm room, if you threw in regular pizza delivery and maid service. Extensive rules detail specifics about food and water and bedding, controlled temperatures, freshly circulated air, and other features that assure the animals remain comfortable, safe, healthy, nourished, and clean. And though the standard-environment rodent residence, too, is designed more with an eye to utility than aesthetics, if you were a wild rat — whose life is likely to exemplify the Hobbesian paradigm of nasty, brutish and short — such cushy digs and reliable comforts would probably seem infinitely preferable to the scramble for survival in the real world. But the real world is where rats and humans evolved to live. It’s complicated, it’s messy, it’s demanding, it’s ever-changing — it’s anything but a controlled experiment — and across the long reach of human history, we’ve had to work hard at the job of surviving. And just as lying inside on the couch all day binge-watching Netflix and thumbing through our Instagram feeds certainly isn’t good for bodies that evolved to move and act in the world, it also, for the same reason, might be bad for our brains — not simply “dumbing down” our intellects, as many hand-wringing op-eds have fretted, but actually depriving our brains of the experiences, the physical activity, and the engagement they need to be healthy. Just as lying inside on the couch all day binge-watching Netflix and thumbing through our Instagram feeds isn't good for bodies that evolved to move and act in the world, it also, for the same reason, might be bad for our brains. It’s a fundamental error to regard “brain” and “body” as somehow dichotomous at all, Lambert says, noting that a large portion of the brain is dedicated to movement — with approximately 70 percent of the brain’s neurons located in a single brain structure, the cerebellum, that coordinates the body’s movements. Based on her research and what we know of neuroplasticity, Lambert believes that the experience of actively, physically interacting with the environment acts like a continuous “sculptor” of the brain. “As we engage in experiences, that builds new connections, prunes away those that are not necessary any more, strengthens existing connections,” she says. Conversely, “when we take movement out of the picture, it does reduce our brain’s activity,” she says. So when we’re not moving around or using our body to act and interact, when we can summon dinner with just a few taps to our phone, or as we rely on others to handle more and more of our life tasks, “we are passing up the opportunity to be actively engaged in building those networks,” says Lambert. The theory Lambert is proposing, then, is that the increasing ease of modern life — like a human version of the progression from wild rat to lab rat — is bad for our brains. And, she suspects, the price we may be paying could be evident in the rising epidemic of depression and anxiety and their attendant feelings of hopelessness and helplessness that a multibillion-dollar flood of pharmaceuticals has failed to quell. “Taking away our interactions with the environment and just movement itself — I think our brain is less engaged, and a side effect of that could be these symptoms we are calling depression,” she says. These are complex disorders, of course, and Lambert certainly isn’t suggesting that merely putting down our screens to hang up our laundry will somehow wholly overcome genetics or adverse childhood experiences or trauma to cure what ails us emotionally. Nevertheless, her work leads her to believe that “the outcomes of all these factors can be affected, to some degree, by sustained meaningful interactions with the world around us,” she says. One line of Lambert’s research explores this theory by expanding on work that reaches all the way back to Diamond’s groundbreaking investigations in the 1960s on so-called “enriched environments.” An enriched environment offers something more like real life — social interactions, space to move and exercise, novel objects to explore — and Lambert is interested in whether all enriched environments are equal. Specifically, she is examining whether environments that mimic the natural stimuli and challenges that our brains likely evolved to engage with — she calls them “natural-enriched” environments — help build the healthiest and most resilient brains. “We think the brains are more tuned in to natural elements,” says Lambert, so in her lab, she and her students are systematically comparing rats in the default “standard environment” — the dorm-room rats — versus two other environments. One is a more spacious and stimulating artificial-enriched setting with shelters and objects for climbing and manipulating made from plastic and other manufactured materials. The second is a natural-enriched setting with sticks, hollow logs, and dirt. Lambert calls them her “city rats” and “country rats,” respectively. Lambert’s research team studies how the city rats and country rats respond not only within these environments but also when they encounter the stress of a novel setting or situation. And since a rat can’t tell you how it’s feeling, Lambert looks for indicators both in the rats’ behavior and in biochemical and neurological markers, such as stress hormones or changes in the brain. The research so far suggests that rats in both these environments demonstrate similar cognitive abilities when compared to the dorm-room, or standard-environment, rats. She cites, for example, the case of some of the country rats subjected to a swim test. Rats are competent swimmers, but like a preschooler balking at a first lesson in the pool, they don’t particularly like swimming, and the experience is mildly stressful, so the swim test is a good way to assess a rat’s adaptability under stress. While most rats might typically respond to the swim test by paddling about frantically but fruitlessly, the country rats showed more willingness to dive under the surface in search of an escape — which Lambert believes is a problem-solving response indicating that the country rats can better muster the emotional self-regulation to overcome their anxiety. The country rats have also managed to surprise the researchers. 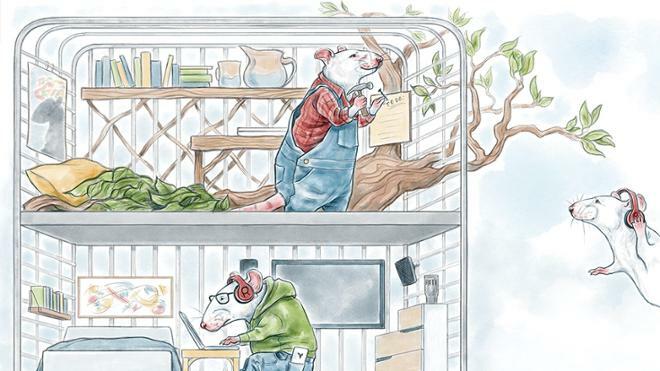 When Lambert and her students decided to video how the rats, which are naturally nocturnal animals, spent their nights in the lab, they saw that the dorm-room rats demonstrated some limited activity and the city rats a little more, but the country rats were far busier. They were interacting socially, moving dirt, constantly investigating the many elements of their environment. The behavior was so unlike what Lambert was used to seeing that her immediate reaction, she acknowledges, was “slapping a diagnosis” on it. “The first time I was watching the video, I thought, ‘They are ADHD rats!’” she says. Then it occurred to her that what she might actually be seeing for the first time was rats behaving, well, naturally. In all her years of observing rats, she realized, she’d never looked at them in a context that reasonably mimicked the conditions of rats in the wild. “Not only is nature relaxing and stress-reducing, but the rats are telling us it is stimulating curiosity and movement and interactions, too,” says Lambert. “So understanding the brain in its natural elements — sometimes I talk about ‘going green’ with the brain — that’s going to be the path to understanding how to have a healthy brain,” she theorizes. Another area of Lambert’s research considers the potential benefits of “effort-based rewards,” the kind of positive, satisfied feeling you might get when you put physical work towards a goal, such as successfully training for your first 10K run, mastering a tricky passage from a piano composition, or finally cleaning out the garage. Lambert and her students spend six weeks working with one group of rats, training them for five to 10 minutes every day on searching for and digging up a buried sweet cereal treat. They call these the “contingent rats” because, as the song goes, they can’t always get what they want — at least not without working for it. Another group, by contrast, gets the treats without making any meaningful effort. These are Lambert’s rodents of privilege, her “trust-fund” rats. Once the contingent rats have completed their training, they, along with the trust-fund rats, are given a new challenge with an unfamiliar object and an unsolvable task that won’t yield any reward. Lambert’s team is looking at whether the contingent rats demonstrate greater determination or resourcefulness in the face of their frustration. And while this research is ongoing, initial results suggest they do. Lambert calls this “learned persistence,” or “the rat version of self-efficacy,” and she believes that the physical effort that the contingent rats have to put forth to dig up their food reward in the first challenge is essential to shaping their neural networks in ways that make them more willing to persist in the second one. From this work, Lambert conjectures that the more we interact and engage with our environment, not only do we build a kind of investment fund of experiences to rely upon for more informed decision-making in the future, but we also may build a stronger sense of self-efficacy and control that allows us to better navigate novel or stressful situations and to persist in the face of challenges. So perhaps running that 10K gives you more confidence to negotiate a raise or handle a personal crisis. And maybe cooking dinner every night does more than just put food on your table. “Even though it seems trivial, doing something physical reinforces our interactions and the effectiveness of our behaviors and our sense of confidence, because it is building and strengthening neural networks,” says Lambert. If Lambert could write a prescription for a healthy brain based on her 30 years of research, she’d tell you to get outside and immerse yourself in the multisensory environment of the natural world, to take the time to engage in satisfying, meaningful hands-on activities like baking bread or learning to knit, to put down your screens and interact with the people and the world around you. As prescriptions go, she acknowledges, nothing here is particularly radical. Lambert’s work is not likely to excite the kind of venture-capital buzz that a promising potential drug therapy or technological gizmo might. For one thing, she points out, as a society we like our treatments to sound “scientific”: a pill, a surgical procedure, something delivered by skilled experts with advanced degrees, and not what our grandmothers managed to pull off armed only with a gravy-stained copy of Betty Crocker. In fact, she sometimes uses the term “behaviorceuticals” to try to frame her ideas within that kind of medicalized perspective. Another reason? There are no blockbuster profits to be made here, no IPOs in baking therapy, no Big Wool advising to ask your doctor if knitting could be right for you, no insurance coverage for hiking boots or garden trowels. When I say, 'engage in a hobby,' that just sounds soft, doesn't it? It sounds like soft science. Theresa Gammel, Bilal Hindi, and Dmitri Kovalev — senior, sophomore, and junior researchers working in Lambert’s lab — all say that classes they have taken with Lambert and research they have done under her direction have changed the way they think about and behave within their own lives. They try to reduce the amount of time they spend in front of screens. They try to get outside more. They share with others what they have learned. Gammel returned to running, which she had given up when she began college. Kovalev took inspiration from the country rats and added more outdoor walks to his schedule. “I feel like my brain is working better now,” he says. Beyond such immediate inspiration, Lambert’s work leads to some provocative questions about animal research itself, not only as a matter of ethics — though Lambert certainly thinks about that — but even more as an issue of validity. Rats and mice bred for research represent 95 percent of the laboratory animal population, and every year, countless studies are conducted on these animals based on the scientific protocol that using “dorm rats,” with their unvaryingly regulated habitats, makes for good experimental design, because their environments have been stripped of all the messy variables of the “real world.” But how much should we trust results reaped from rodents in solitary confinement? As Nathan Fox, ’18, one of Lambert’s students, observed, that would be like conducting all human research on prisoners kept in cells. Lambert worries that this question isn’t being asked enough, that maybe the well-intentioned “standardizing” of these environments actually skews results, that maybe that fact helps explain why so little progress has been made in developing truly effective mental-health treatments. And what might these questions imply for our own increasingly boxed-in lives? Perhaps the real experiment here is the one we’re conducting on ourselves. Caroline Kettlewell is a Richmond-based freelance writer.